An immaculate holiday home equipped with everything you need for a fun holiday at an affordable price. We require a £50.00 deposit at the time of booking to secure your holiday and this is non refundable. Holiday Breaks run - Friday to Friday, Saturday to Saturday we also rent out mid week or on weekends if we do not have a full weeks booking. We love our caravan and we can guarantee you will love it too as we have always had very positive feedback from customers. MEMORABLE HOLIDAY EXPERIENCE AT A FAIR PRICE. 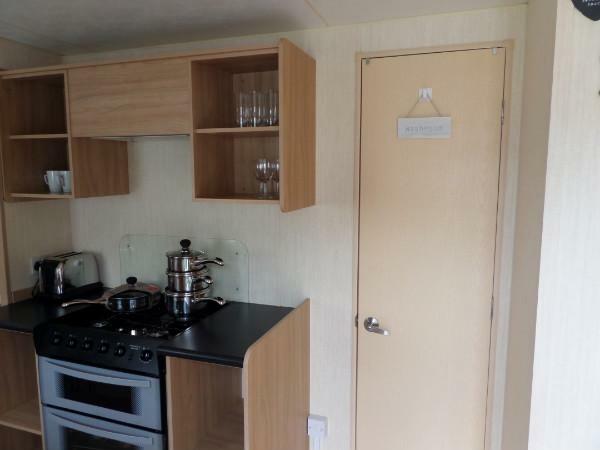 A modern DELUXE caravan located on 7 Giltar court, kiln park 1min away from park amenities/attraction with a lot of amenities for you/family to have a special holiday filled with priceless memories at the best rates. A nice parking space adjacent to the caravan is available for your use. 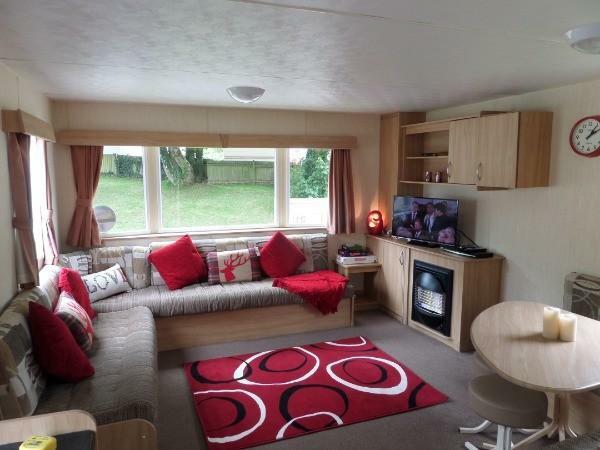 The LOUNGE is brilliantly more spacious than most caravan which is why we love it so much. family or couples can relax and mingle feeling totally comfortable in the space. Extra bed in lounge sleeps 2 comfortably. 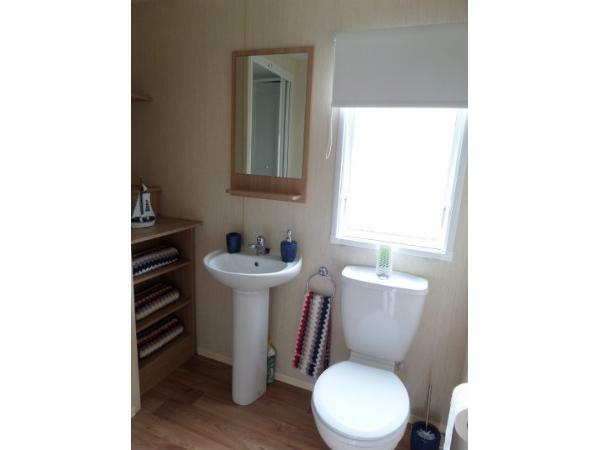 2 TOILETS- Separate toilets - Toilet and Shower. 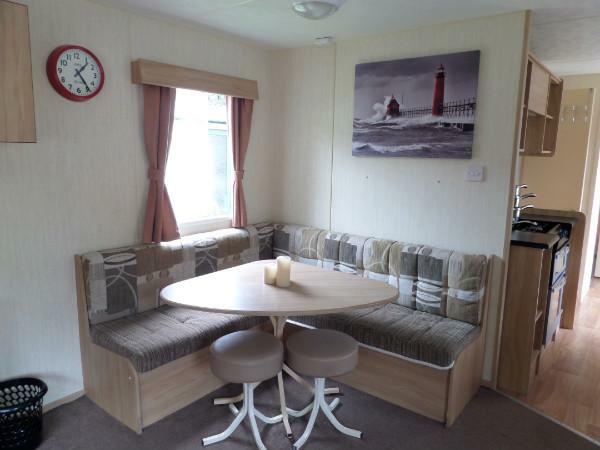 KITCHEN/DINNING - comfortable dinning area, Fridge/freezer, toaster, cutleries, pots and pans, microwave, cooker. STORAGE- double wardrobes, overhead storages and storage cupboards. ENTERTAINMENT AND GAMES- monopoly, taboo, cards, humming game,free-view 32" smart TV, DVD player and bluetooth speakers. 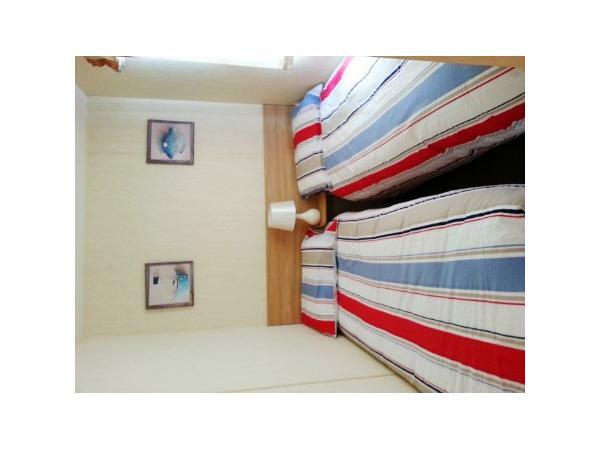 HEATING- in every room, duvets, toilet rolls, iron with board. Gas and electric paid. NOTE - Most caravans do not provide the following so please bring duvet covers, sheets, pillowcases, towels and tea towels. KILN PARK - Kiln park have various attraction and activities including indoor and outdoor pool, pubs, comedy and music, golf and lots more. 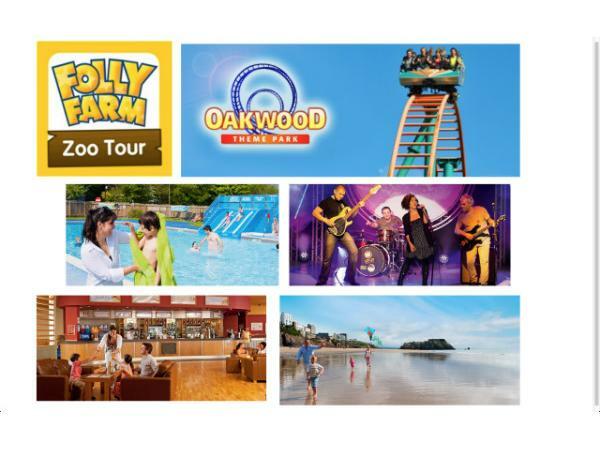 Also close to family attractions Oakwood theme parks, wildlife parks, Skomer Island, manor house, dinosaur park, heatherton, folly farm, bluestone. Boat trip are available for fishing trips, visits to Caldey. Island & watersports. Additional Info: kids park, beach, shop. 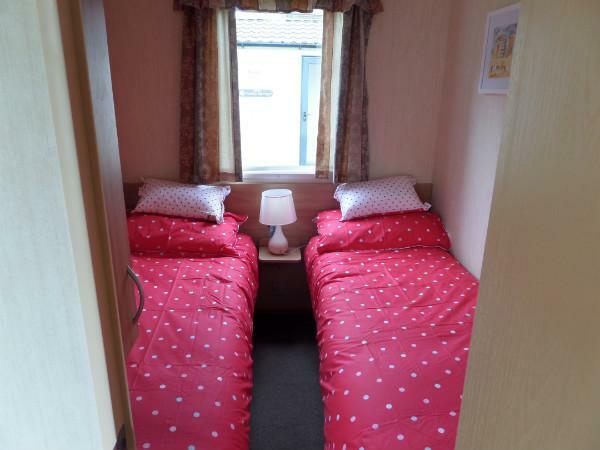 We had a lovely comfortable sleep and stay at this caravan. It was very clean and tidy. It was close to the club house and swimming pool witch made life much easier. There was no problems with noise as I was worried due to being so close to club. The site was amazing too. Really enjoyed my stay. Thankyou. Will be booking to return soon. Just returned from a 7 night whitsun break with Kaynee caravans. 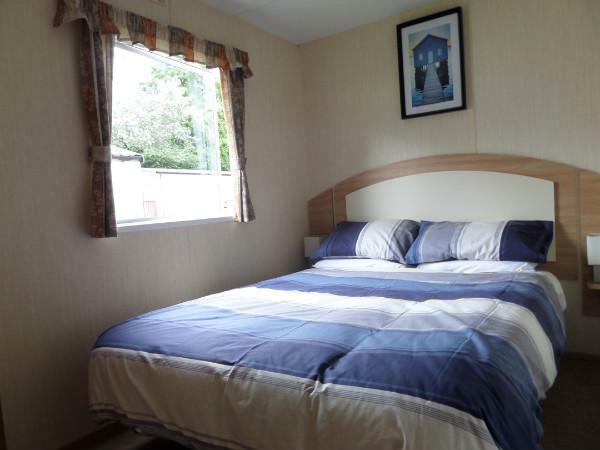 We arrived to find the van very clean and adequately equipped for a weeks holiday.The van is situated in a prime location on a very well maintained and exceptional site. Although we did find our first night rather noisy (due to its location) this was a one off & the rest of our stay was absolutely fine.There are people walking past constantly to enter the entertainment complex but we found this quite reassuring rather than hiding in a quiet corner!. 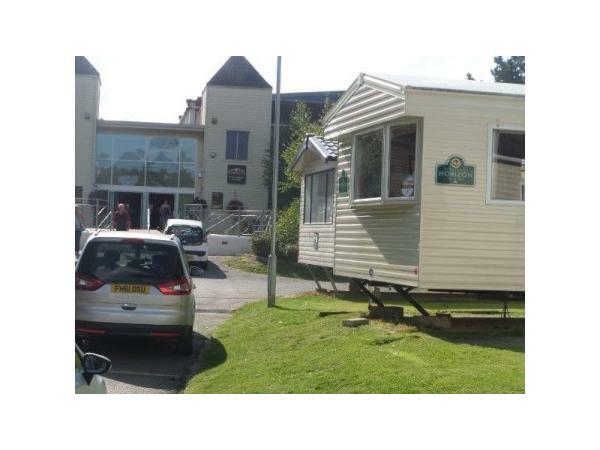 There were 4 adults and two children under 10 on our holiday and found the accommodation to be of a good size,the lounge was larger than previous caravans we have stayed in and the separate additional toilet was a bonus. If you generally take your own bedding (quilts/pillows)as we do, can I say the ones provided were superbly clean and would have been more than happy to use them with our own linen obviously. The site facilities are excellent although a little pricey (to be expected) all food outlets were of a very good standard. All in all we had a wonderful holiday. 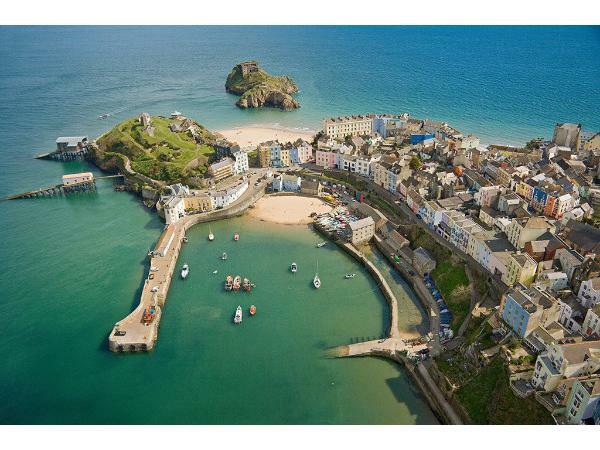 Communication with the owner was second to none, the weather was exceptional which obviously helps and we would be more than happy to stay with Kaynee caravans if we decide to holiday in Tenby again. Arrived at the caravan, which was clean and tidy. Unfortunately there was no toilet roll in one of the toilets so needed to go and purchase more. Very basic kitchen facilities, again we had to purchase several items. Advert stated there was a dvd player, however there wasn't one there. Sadly we had a weekend of rain so the dvd player would have come in useful! Lounge also had a bit of a fousty smell. In spite of this we had a nice weekend away. We had a fantastic time at kiln park, the caravan is in a great spot next to the entertainment complex and close to the shop, park and the entrance to the beach path. The owner was extremely accommodating and the communication from booking right through to the end out stay was excellent. You have everything you need in the caravan and everything else is a stones throw away. Great value for money, why pay haven prices when you don't have to!! Can't recommend high enough,looking forward to booking with you again next year. Very pleased with lovely clean tidy caravan. Ideal for a short break as so close to entertainment centre but a bit noisy for young children if staying for longer. Plenty of bedding but no toilet paper so bring your own! Communication and booking were efficient and easy. Would use again. Had a brilliant time in kiln park,the caravan owned by kaynee caravans was very homely and clean, had every thing you could possibly need.situated so close to the main entertainment centre,you couldn't ask for more.booking was so easy and kaynee caravans were friendly and helpful.Will definitely be booking again.amazing prices for short stays.Thank you.